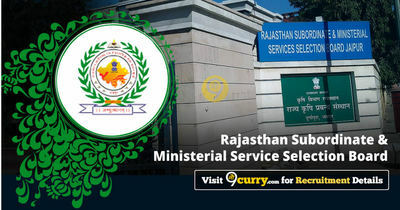 RSMSSB Result 2019: Below are the latest results published by RSMSSB - Rajasthan Subordinate and Ministerial Service Selection Board / rsmssb.rajasthan.gov.in. The recent result announced by the organization is LDC Result & Cut Off Marks 2019. RSMSSB LDC 2018 Result 2019: Rajasthan Subordinate and Ministerial Service Selection Board has announced the Result on 07 Mar 2019 for RSMSSB LDC Exam 2018 which was conducted on 12 Aug 2018. RSMSSB LDC 2018 Revised Result 2019: Rajasthan Subordinate and Ministerial Service Selection Board has announced the Result on 19 Mar 2019 for the exam . RSMSSB Patwar 2015 Final Result 2019: Rajasthan Subordinate and Ministerial Service Selection Board has announced the Result on 05 Mar 2019 for the exam . RSMSSB TA 2018 Result 2019: Rajasthan Subordinate and Ministerial Service Selection Board has announced the Result on 25 Feb 2019 for TA Exam 2018 . RSMSSB Patwar 2015 Result 2019: Rajasthan Subordinate and Ministerial Service Selection Board has announced the Result on 25 Feb 2019 for Patwar Exam 2015 . RSMSSB Live Stock Assistant Document Verification Schedule 2019: Rajasthan Subordinate and Ministerial Service Selection Board has announced the News on 05 Feb 2019 for the exam . RSMSSB Physical Instructor PTI DV Schedule 2019: Rajasthan Subordinate and Ministerial Service Selection Board has announced the Result on 05 Feb 2019 for the exam . RSMSSB IEO Exam 2018 Third List of Finally Selected Candidates: Rajasthan Subordinate and Ministerial Service Selection Board has announced the Result on 30 Jan 2019 for RSMSSB IEO Exam 2018 . RSMSSB LSA Exam 2018 Result and Cut Off Marks 2019: Rajasthan Subordinate and Ministerial Service Selection Board has announced the Result on 29 Jan 2019 for the exam . RSMSSB PTI Exam 2018 Result and Cut Off Marks 2019: Rajasthan Subordinate and Ministerial Service Selection Board has announced the Result on 29 Jan 2019 for the exam . RSMSSB Rajasthan PS & UPS Teacher recruitment 2016 (revised) Level-II All Subjects Special Teacher Result Reshuffle Selection and New Selected Candidates, District Allotments: Rajasthan Subordinate and Ministerial Service Selection Board has announced the Result on 11 Jan 2019 for RSMSSB Rajasthan PS & UPS Teacher recruitment 2016 (revised) Level-II Exam . RSMSSB Lab Assistant 2016 Final Result 2019: Rajasthan Subordinate and Ministerial Service Selection Board has announced the Result on 08 Jan 2019 for RSMSSB Lab Assistant 2016 Exam . RSMSSB Computer Sanganak Final Result Second List 2019: Rajasthan Subordinate and Ministerial Service Selection Board has announced the Result on 07 Jan 2019 for RSMSSB Computer Sanganak Exam 2018 . RSMSSB Industry Extension Officer Exam 2018 Result: Rajasthan Subordinate and Ministerial Service Selection Board has announced the Result on 14 Dec 2018 for the exam . RSMSSB Ophthalmic Assistant 2016 Result: Rajasthan Subordinate and Ministerial Service Selection Board has announced the Result on 10 Dec 2018 for the exam . RSMSSB Lab Assistant Exam 2016 Result: Rajasthan Subordinate and Ministerial Service Selection Board has announced the Result on 05 Dec 2018 for RSMSSB Lab Assistant Exam 2016 . RSMSSB Lab Assistant 2016 (TSP & Non-TSP) Result: Rajasthan Subordinate and Ministerial Service Selection Board has announced the Result on 04 Dec 2018 for RSMSSB Lab Assistant Exam 2016 . RSMSSB Hostel Superintendent 2016 Result: Rajasthan Subordinate and Ministerial Service Selection Board has announced the Result on 30 Nov 2018 for RSMSSB Hostel Superintendent Exam 2016 . RSMSSB Patwar 2015 Select List for Document Verification: Rajasthan Subordinate and Ministerial Service Selection Board has announced the Result on 26 Nov 2018 for RSMSSB Patwar Exam 2015 .